EI-ADO draws heavily on the framework and tools set out in Making Value Chains Work Better for the Poor: A Toolbook for Practitioners of Value Chain Analysis (PDF 6.59 MB) English & Bahasa. This approach is designed to create stronger linkages between value chain analysis and on-ground development interventions that improve opportunities available to the poor. Project oversight was provided by a Reference Group (RG) comprising four Indonesian and four international representatives. 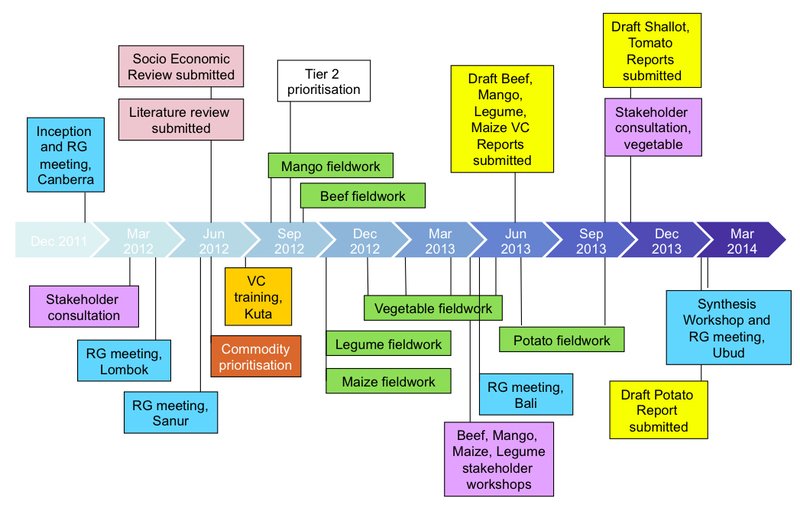 The RG’s role was to guide the project team, oversee project design and the prioritisation and selection of commodities, review the draft reports, and provide feedback on recommendations being presented to AIP-PRSIMA (PDF 344 KB). Widi Harjono (Deptan): Mr Harjono holds a senior position in the Ministry of Agriculture. Prior roles include Head of Graduate School for Extension Services in North Sumatra and Head of Public Relation Services for the Ministry of Agriculture in Jakarta. He has specialist expertise in cassava. Dr. Ir. Suyamto Hardjosuwirjo, M.S. 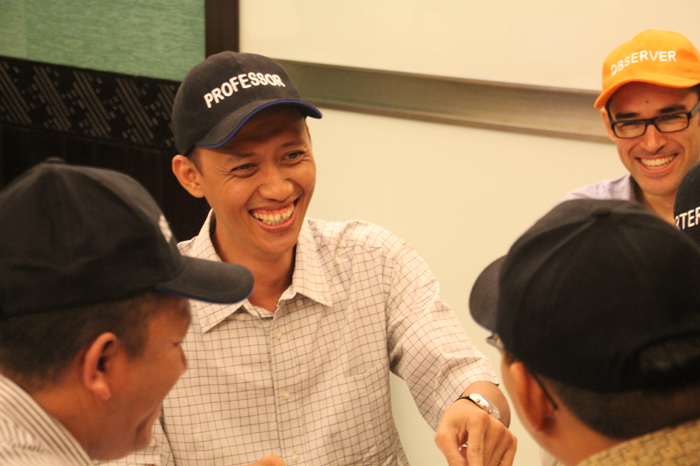 : Dr. Hardjosuwirjo is a professor and senior researcher in BPTP Malang. His expertise is food crops and legumes. 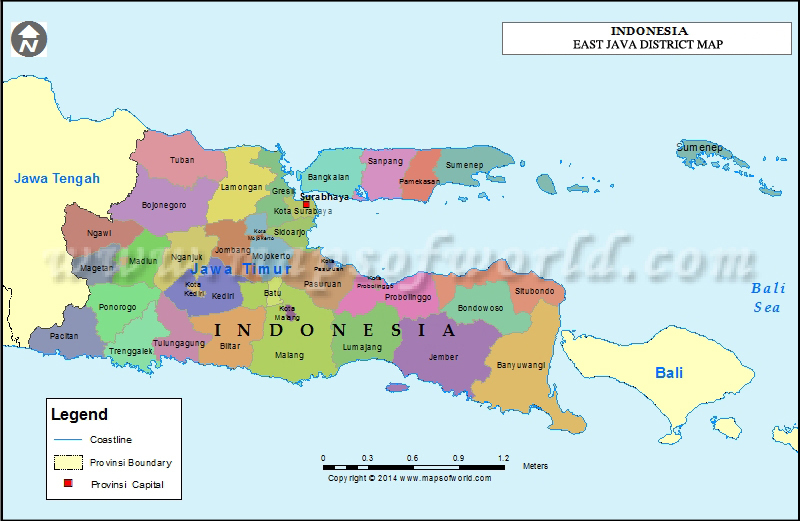 Prior to his current role, he managed multiple projects with IRRI, CIMMYT, ICRISAT, AVRDC, CIAT, CIP, ACIAR, IPI, IPNI, and led several prolific research institutes in Indonesia, including Indonesian Legumes, Tuber Crops Research Institute and BPTP. 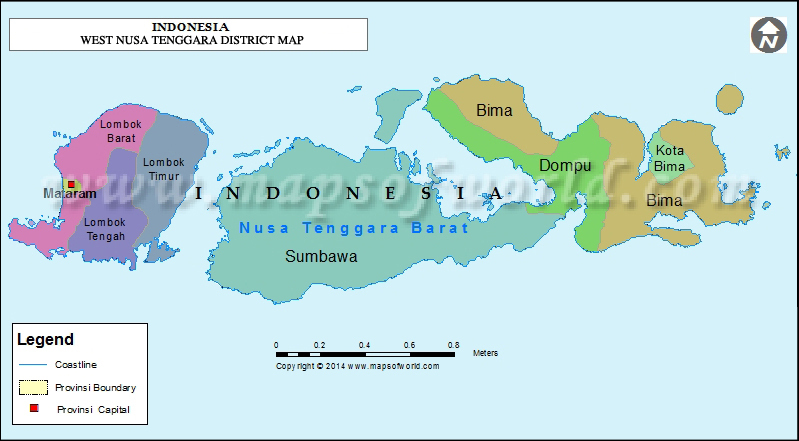 Dr Muktasam: Dr Muktasam is a professor at the University of Mataram, a leading university in NTB. He has many years of experience in agricultural extension and dry land management. Prof. Fred Benu: Prof. Benu is a professor of Socio-Economic Agriculture and the Chancellor of Nusa Cendana University (NCU) in NTT. Previous roles include Commissioner with Bank NTT and Head of the Community Development Institute at NCU. He has also led a range of projects with UN agencies and NGOs. Prof. Dr. Ir. H. Luthfi Fatah: Prof. Fatah is the Dean of the Faculty of Agriculture at the University of Lambung Mangkurat. He holds economics qualifications and has previously served as a Senior Adviser to ACIAR’s Smallholder Agriculture Development Initiative project. Dr. Achmad Dimyati: Dr Dimyati is a senior researcher at the Indonesian Center for Horticulture Research and Development (ICHORD). Prior to this position, he was Director General for Horticulture in the Indonesian Ministry of Agriculture. Erman Avantgarda Rahman: Mr Rahman is Director of Local and Economic Governance Programs for The Asia Foundation (TAF) in Indonesia. He leads the Economic team within The Foundation's office in Jakarta, working on streamlining national and regional policy on business licensing, regulatory reform, investment climate indicators and domestic trade, as well as strengthening SME associations. Ernest Bethe: Mr Bethe is the Agribusiness Linkages Program Manager at International Finance Corporation (IFC), a member of the World Bank Group that focuses exclusively on the private sector in developing countries. Dr. Daniel Nugraha: Dr Nugraha is the Team Leader of AIP-PRISMA (Australia-Indonesia Partnership for Promoting Rural Income through Support for Markets in Agriculture) and the DFAT Deputy Program Director for the AIP-Rural program. Dr. Peter Horne: Dr Horne works for the Australian Centre for International Agricultural Research (ACIAR) as General Manager, Country Programs. He has spent most of his career based in Asia involved in agricultural research-for-development, with a particular focus on forages and livestock systems. 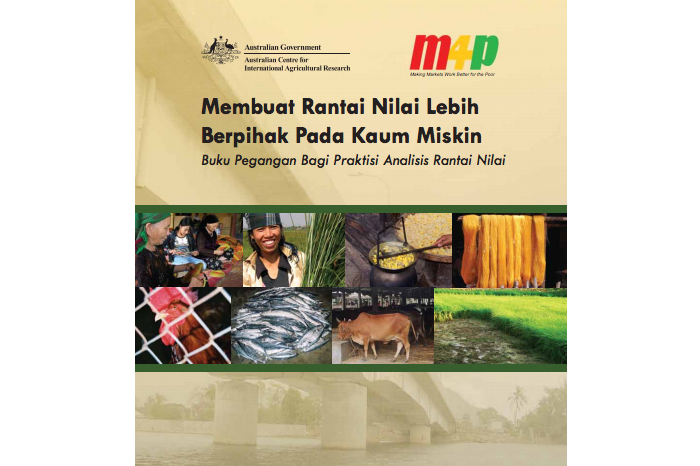 Prior to joining ACIAR, Dr Horne was Manager of Support for Market-driven Adaptive Research, a research program in Eastern Indonesia aimed at improving the efficiency and productivity of smallholder agricultural value chains. He has also worked as a researcher for CIAT, CSIRO, North Carolina State University and the University of New England. The EI-ADO project was delivered in three phases. Phase 1 focused on commodity identification, prioritisation and selection for detailed value chain analysis. Phase 2 involved the field work and preliminary analysis of ten individual value chain studies. Agribusiness development constraints and opportunities were identified and presented to a stakeholder workshop for feedback. Phase 3 involved the preparation and peer review of the ten individual value chain commodity reports. A final synthesis report and workshop was delivered, including recommendations on proposed interventions for AIP-PRISMA’s (PDF 344 KB) consideration. Within the three provinces AIP-PRISMA’s initial plan was to focus on 12 districts. However, as value chains are rarely limited to district boundaries, some activities and commodities in other districts also informed part of the EI-ADO research. Commodity prioritisation workshop, Lombok, 2012. Participants include EI-ADO Reference Group, project team and ACIAR. Value chain workshop participants practice 'doing the deal' during training, June 2012. 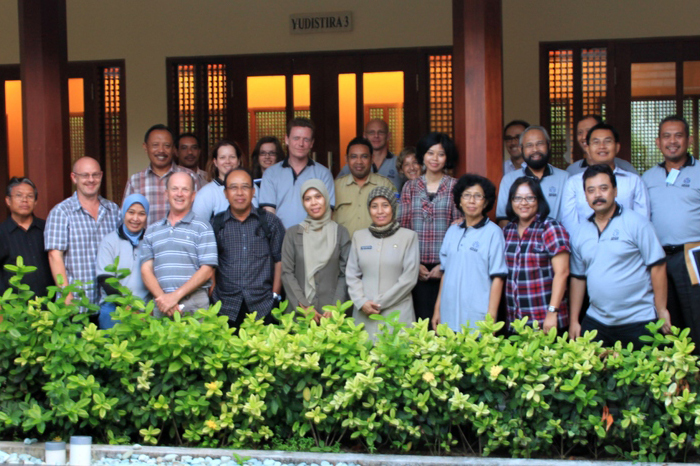 Final EI-ADO Synthesis workshop, January 2013 in Ubud, Bali. 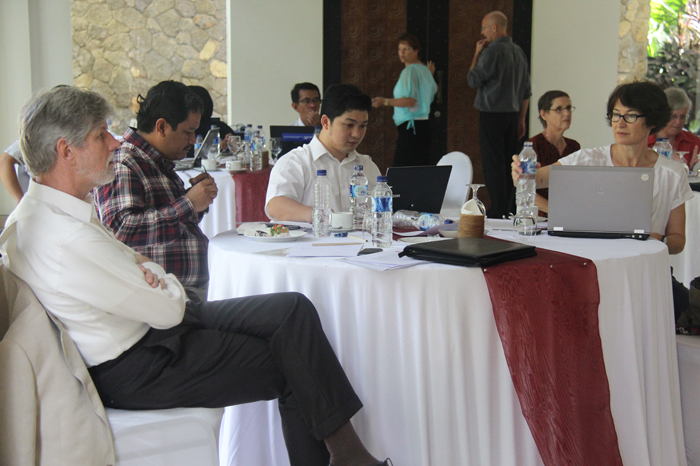 Participants include representative from DFAT, AIP-PRISMA, Project Reference Group and the project team. 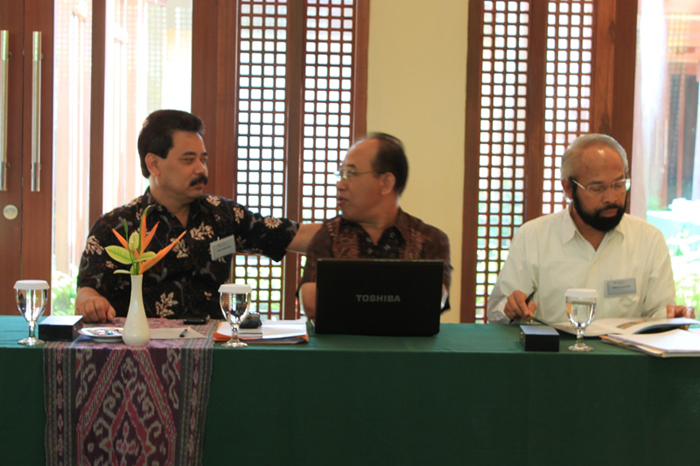 Widi Harjono (MoA), Suyamto (BPTP, East Java) and Ketut Puspadi (BPTP, NTB) participate at the commodity prioritisation workshop, Lombok, 2012. Making Value Chains Work Better for the Poor Toolbook. 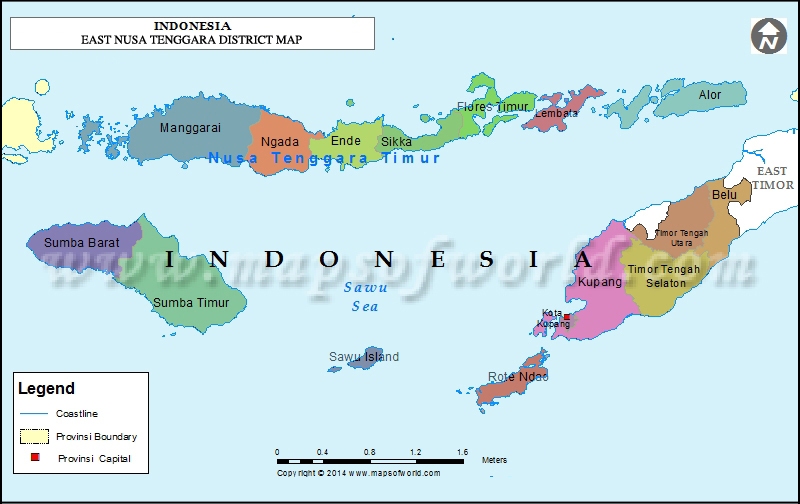 Bahasa Indonesia translation.